Let’s be real. In the eyes of someone fresh out of college, just starting their career, a 42-year-old coworker is old. Now imagine working with someone who is tiptoeing out of middle age into their golden years. Costly Botox injections, plastic surgery, regular facials, special diets and boot camps can help shave off a few years. Unfortunately, not everyone has the time, money or inclination for these temporary fixes. 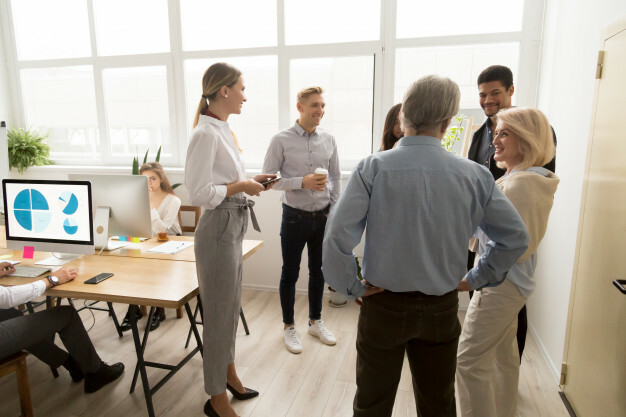 You’ve heard adages like, “You’re as young as you feel” and “Age is just a number.” While there is some truth to these fitting phrases, it doesn’t take the sting out of being stuffed in the age-discrimination box at work. There is a strong case to be made that young and old working together makes for a more interesting and productive environment. The reality is, people are working well into their golden years. Blending the old with the young will undoubtedly bring about some clumsy moments. But if the two generations make an effort to be aware, learn, understand and make accommodations, they both would benefit from the other’s gifts and talents. There are no policies or mission statements that can command how people should perceive or appreciate someone else. No matter what you do to avoid the ageism box, someone will keep stuffing you back in it. 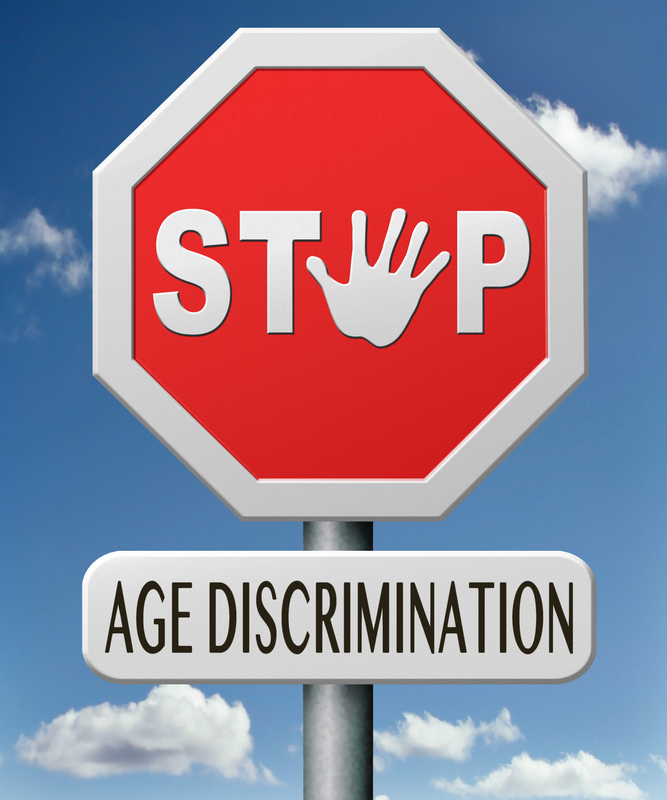 So How Do You Stop Age Discrimination? 1. Stop using every new slang word that comes along. While “YOLO” (you only live once), saying that or other outdated terms, can sound embarrassing to others. Using a popular word around colleagues you’re close to is fine now and then—especially during happy hour or break time—but don’t make it a habit. 2. Stop dressing excessively young. You’ve got to do what you’ve got to do, but keep in mind that wearing clothes that scream, “I still fit into my high school cargo shorts!” can come across as desperate to hang on to the past. Image consultants agree that this is a sure-fire way to stand out like a sore thumb. Don’t go too young in your work wardrobe. Good rule of thumb, wear one trendy piece and tone down the outfit with a classic. Trying too hard to fit in will backfire. 3. Stop talking about your ailments, medications, how much you miss VHS, and other old-people stuff. 4. Stop speaking in a parental tone, giving mommy/daddy advice, and telling your life story. If you put yourself in a parental role at work, it will be very difficult to break away from it when you want to. Your coworkers will start treating you like their parents and exclude you from their conversation and fun. 5. Stop comparing coworkers to your adult children. 6. Stop being a know-it-all elder. Using an intimidating voice and communication style to earn your place or demand respect won’t work. It’s a quick way to highlight your age and alienate your coworkers. 7. Stop asking for help posting photos or texting. Asking your coworkers for assistance with your personal tech challenges may trigger a “poor-old-guy” response. Ask your own children, a neighbor, friend, or Google for help. 8. Stop pretending to like or know about everything that’s talked about. Getting lost in water-cooler talk with younger colleagues? Listen, learn, don’t ridicule and then go home and ask Google about anything you don’t understand. 9. Stop being a grump. While younger people can be grumps, too, the grumpy attitude is a stereotype associated with older people. Don’t play into it. Don’t slip down this path; it can also affect your posture, walk, facial expression and general demeanor. 10. Stop neglecting your personal appearance. Just because you’re older, don’t neglect your appearance. Update your wardrobe, exercise (within your abilities), and maintain grooming and hygiene. And this may be contentious, but for women specifically, don’t forget your hair and makeup. Side note: Sure it’s unfair that women have to go through this and men don’t, and that this kind of grooming doesn’t necessarily make you a better worker. Studies show that a woman who pays some attention to hair and makeup is perceived as more put-together and confident. (Although looking too glam can also harm her chances of being taken seriously.) You don’t necessarily have to change your hair color. In fact, recent trend has women embracing their natural gray. Just back it up with a polished hairstyle and a smile. I’m not advocating that we hide our age or highlight it (well, maybe if the senior price is significantly discounted). We have to work towards a place where, like gender or race, age becomes irrelevant to the impression of our ability to get the job done. Presentations are available to support HR policies and harassment compliance, address concerns, or to avert potential conflicts – Upgrade or set a standard of communication and behavior – Up-and-coming managers – Interns – New-hire orientation process – Professional development events or conferences – College/university students – Actors to prepare for roles – NEW! Attorneys: polish your client’s professional presence for a court appearance. For more information, please contact me via email, or by calling 650.871.6200, before a dilemma turns into front-page news.